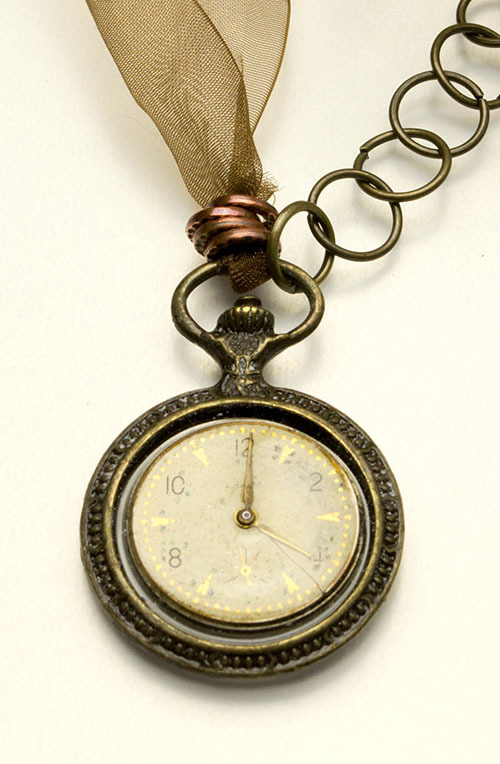 A vintage watch part from Ukraine is set in a bronze bezel with resin. Both the front and back of the watch can be seen through the resin. 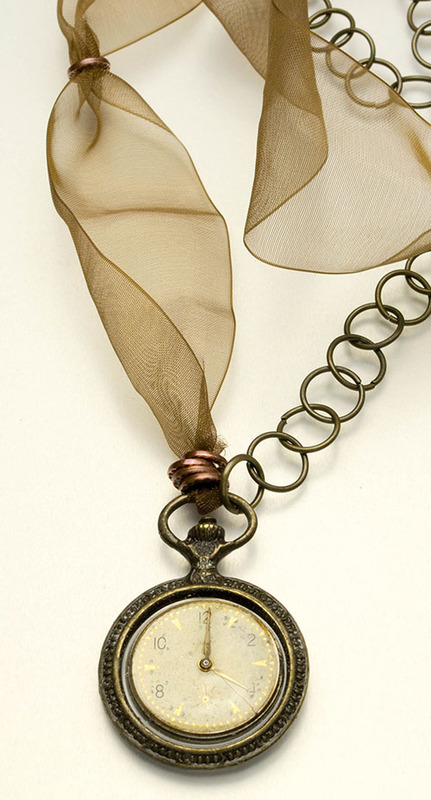 Attached to 36 inch chain made with brass chain and a bronze colored ribbon with copper rings. Pendant measures 1 1/4 inch wide x 2 inches long. This resin necklace measures 1 1/4 inches wide x 2 inches long, comes gift boxed, and ships within 48 hours.